You can order online on Claim Jumper official website. For purchases over $250.00, you can contact their Corporate Gift Card Department at 1.800.5.LANDRY (552-6379) and a dedicated gift card specialist will be happy to assist. Claim Jumper is a restaurant chain headquartered in Irvine, California, USA. In 1977, the Founder Craig Nickoloff opened the first Claim Jumper Restaurant in Los Alamitos, California. On October 28, 2010, the chain was auctioned off with Landry's Restaurants being the winning bidder. I truly do not know how you stay in business. 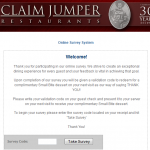 We had been regular customers of Claim Jumper since it first opened in Los Alamitos, Ca. We could always depend on their wonderful service and mainly delicious food. Since the buy out of the Claim Jumper, we have been very disappointed in the service but mainly the quality of the food. 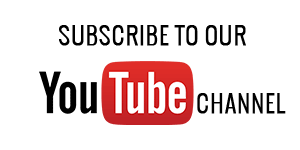 We have tried both the Brea and Buena Park locations with the most recent on June 22, 2015 at the Buena Park location. It was horrible! Never, never again will we be patrons of the Claim Jumper again. I might add that we are not the only ones feeling the same way, by the look of the empty restaurant, I think the word has been passed around.